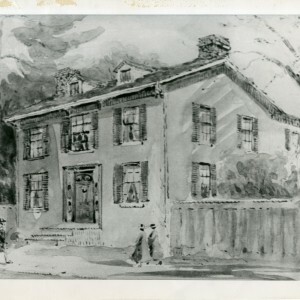 The first home of Knox College was on James Street in the home of Henry Esson. There were fourteen students present during the first class and Rev. Henry Esson and Rev. Andrew King were the first professors teaching that year. The building no longer exists today. The Second Home of Knox College, 79 Adelaide Street West. 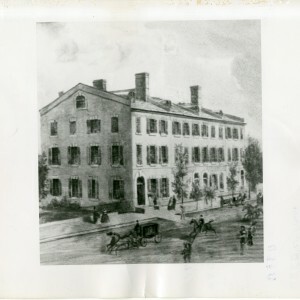 This was the second home of Knox College from 1846 to 1847. This was a transitional home for Knox College. It only stayed here for a year and because the number of students enrolled was growing quickly during this time they needed more space than this location gave them. Classes were held here from 1848-1854. 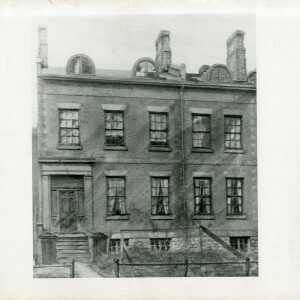 Knox occupied four dwelling houses called the Ontario Terrace. Today this area of Front Street is the Royal York Hotel site which is a across from Union Station. This location offered the college more space than the previous two locations did. The Fourth Home of Knox College, Northwest Corner of Grosvenor and St. Vincent streets. 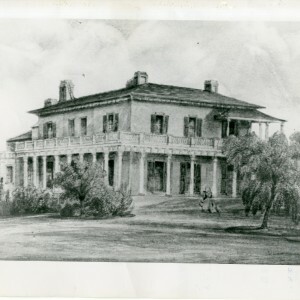 From 1855-1875, Lord Elgin’s Toronto residence Elmsley Villa, served as the location of Knox College. Once again growth in the College’s size required another move. This time a building committee was set up in 1854. 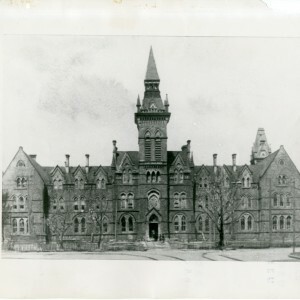 The committee included prominent businessmen John McMurrich, John Redpath, and Father of Confederation George Brown, just to name some of the people who would help to decide on a permanent home for Knox College. They would end up buying this location for the 1855-1856 academic years. It would have the space to accommodate the almost 40 students who attended the college during 1855, but plans were already being made in 1856 to expand the buildings capacity to 70. During this time many saw Knox College as a key institution of the Church; playing an important role in the education of ministers. The Fifth Home of Knox College, 1 Spadina Cresent. Classes were held at 1 Spadina Crescent from 1875 -1915. The year 2015 is also the 140th anniversary of the old Knox College building which is currently being renovated for the John H. Daniels Faculty of Architecture, Landscape, and Design.